His body rests in the cell of the cave church. The monastery was reconstructed in 1923-1926 following a fire which spared the small cave churches. These churches are the main attractions of this monument. The Church of the Entrance of the Holy Mother of God was painted with frescoes at the end of the 17th century. The Church of the Holy Cross is located in the upper monastery level and was painted by the master Radul, who adjusted the frescoes to the natural shape of the rocks. The church is surrounded by konaks and they both represent a structure which is in harmony with its natural ambience. 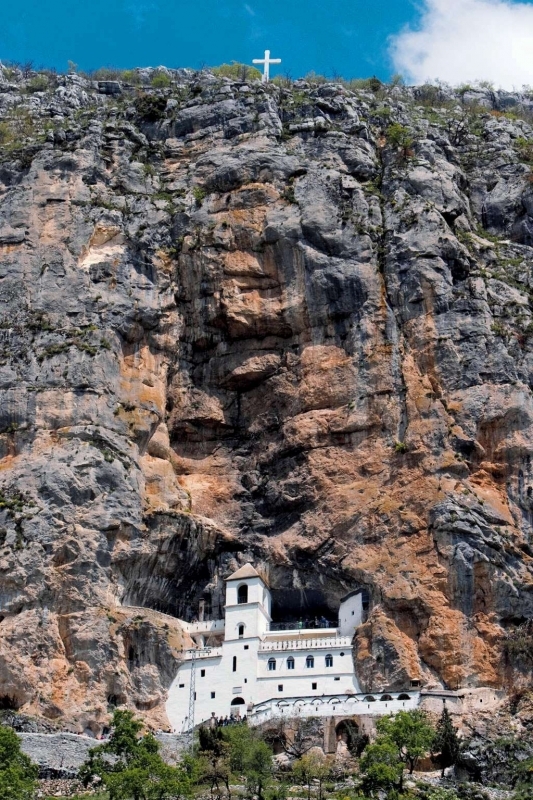 The Orthodox monastery of Ostrog is one of the most visited monasteries in the Balkans. It is visited by believers from all over the world, individually or in groups. 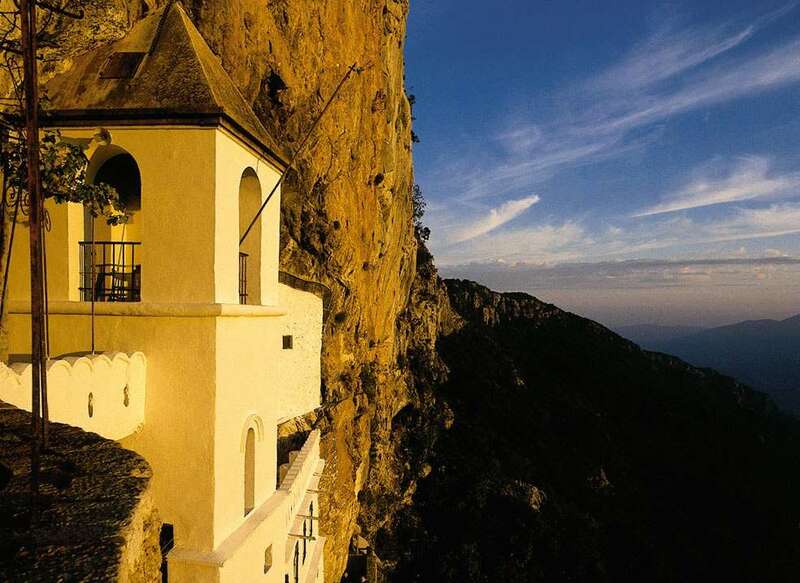 It is a confluence of all three confessions: Orthodox, Catholic and Muslim, as it is believed that the relics of St. Vasilije of Ostrog are miraculous. According to pilgrims’ testimonials, praying in front of these relics has helped them cure or lessen their life’s troubles.